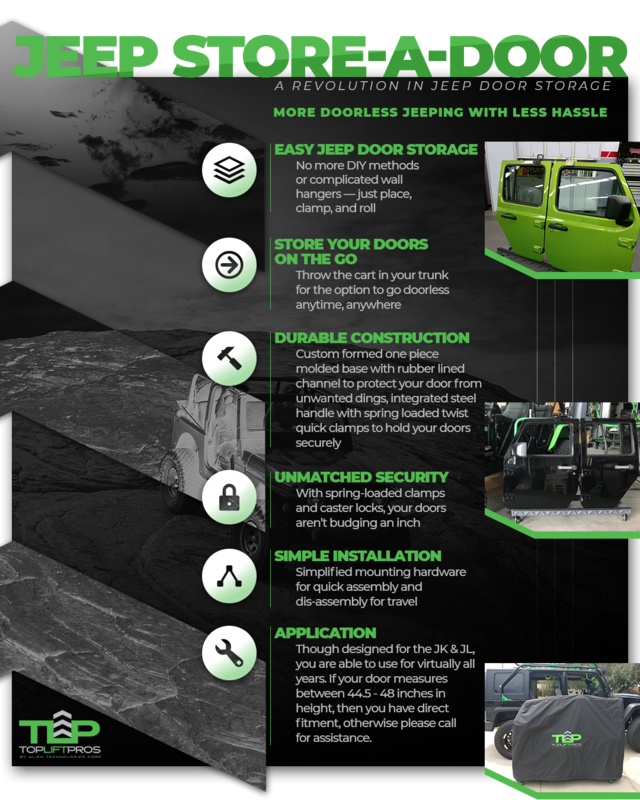 In one of our previous blogs, we mentioned that outside of our most well-known product, the TopLift Pro, we have released our second innovation to the world of Jeeping — the Jeep Store-A-Door Cart. Prior to this innovation, most of the Jeep door storage solutions available on the market involved a wall mount of sorts, and we knew that there was a need that had to be filled for those avid Jeepers that find themselves on the road in their Jeep far more often than in their garage. That’s why for this blog post, we at TopLift want to fill you in on the wonderful world of opportunities that are opened up to you by choosing to purchase a Jeep door storage cart rather than other storage solutions — or simply leaving them on the floor of your garage, which we know many of our fellow Jeepers are guilty of. By having a high-quality Jeep door storage cart to keep your precious components tucked away on days you want to go doorless, you can rest assured that they are in safe hands, and you won’t come back to a number of new scratches or dings. When you trust a wall mount or other form of door hanger to hold your doors, not only are you leaving their condition in the hands of a garage wall stud that you hope is enough to secure your doors to the wall, but you also are leaving gravity with the potential to let your doors plummet off the hangers and onto the concrete floor. This is nowhere near an ideal Jeep door storage solution in our book, especially if you find yourself on the road a good deal or don’t have a lot of wall real estate to even work with. Other common methods of Jeep door storage we come across are DIY methods using a multitude of different materials ranging from PVC pipes to form racks to wooden sawhorses, dolly boards, and countless others. While you might be crafty and resourceful when it comes to other items in your garage, is protecting your Jeep Wrangler’s doors really something you want to leave up to chance? 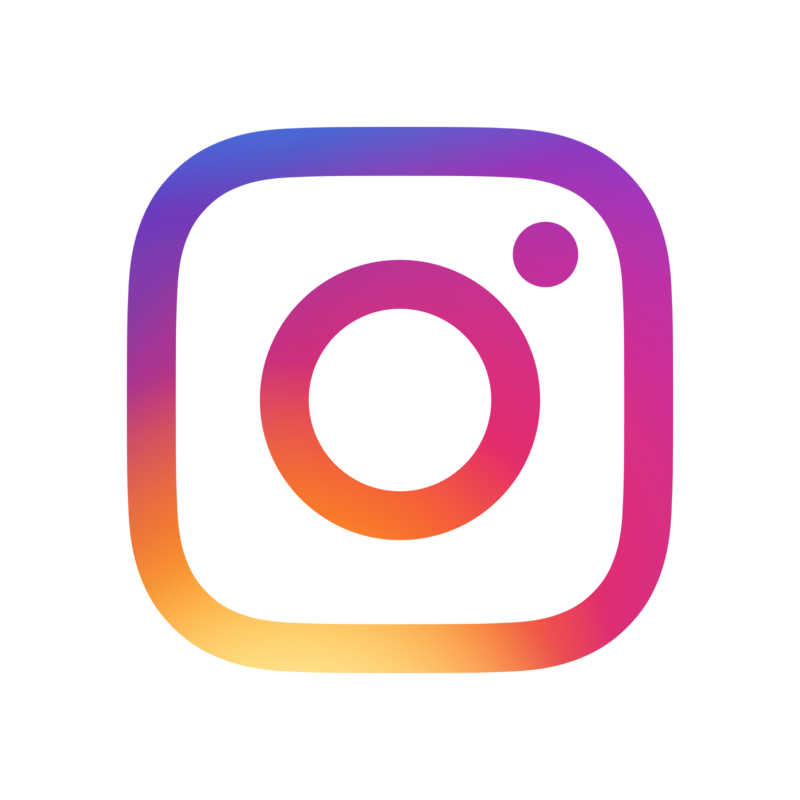 While some DIY projects can certainly be a good cost-savings move, if not done correctly or not using the best materials for the job, they can easily lead to even more costs. A professionally-made Jeep door storage cart like the Jeep Store-A-Door is engineered out of the most durable materials with hinge mounts and heavy-duty spring-loaded clamps to keep your doors completely stable. Many people look at a storage cart and think to themselves, “I can easily make my own version of that.” The issue here is, when you choose to try to make your own Jeep door storage cart using a dolly board, you don’t get near the same security that comes along with a professionally-crafted one like the Jeep Store-A-Door. For instance, most dolly boards you pick up at your local hardware store are going to have one- or two-inch casters made of a poor quality material that either won’t roll at all or will roll too much and send your doors flying down the driveway, into your vehicle, or a myriad of other potential scenarios. With the Jeep Store-A-Door cart, you have a set of four-inch casters built to handle the roughest driveways, trails, or even grass, along with stoppers that ensure your Jeep doors are not going to relocate themselves while you are out enjoying your doorless cruise. The Jeep Store-A-Door Cart also gives you the advantage of having one easy spot to store all of your Jeep’s doors — even for you four-door Wrangler owners. Rather than purchasing multiple separate items to hold each of your Jeep’s doors, you can easily fit them all onto one convenient cart to move and store your Jeep’s doors wherever you so choose, without having to worry about them clanking together since they won’t budge an inch. Another perk to a Jeep door storage cart is the fact that you can easily toss it in your trunk and bring it along for the ride with you on those longer journeys. For those that enjoy living a nomadic lifestyle in their Wranglers, this finally gives you the option of taking your doors off anytime, anywhere, rather than having to commit to a decision beforehand of “doors off” or “doors on.” This means more time on the road and more time going doorless in your Jeep — a win-win. Are you ready to live your best Jeep life with the freedom to go doorless safely and easily whenever you want? Order your Store-A-Door online today and get adventuring!